In case you read this blog somewhere else, I've changed the blog design a wee bit. I've wanted something simpler for a while, and that little lamb is just too cute! It's only an interim design however, as Mr. Mitten is working on a pretty major overhaul of fuzzymitten.com, and eventually the blog will be changed to fit in with the look of everything else. I'm not quite sure when that will happen, but I'm pretty excited about some of the changes! I'll be sure to share more when I can. Posted by Barbara Prime at 2:51 p.m.
oh he is so fuzzy and cute! 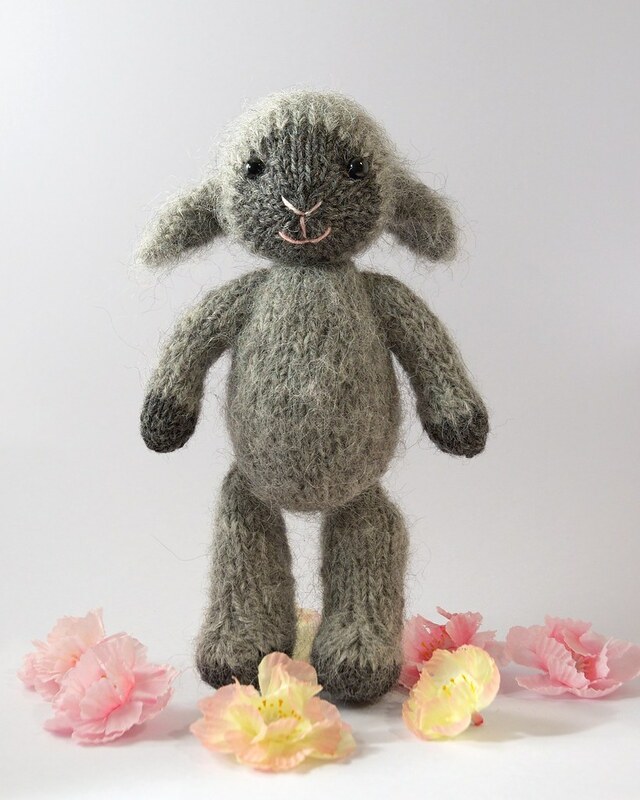 love the fur like yarn you used to make him! February 2, 2010 at 8:34 a.m. The yarn is Suri Dream from Knitpicks. I love using this for toys, since it's so soft and fuzzy, and you can make 2 toys from 1 ball! It's called bulky weight, but knits up just fine on 4 mm needles. February 2, 2010 at 9:12 a.m. I love the new design. Simplicity at it's best. It's very easy to follow and the little lamb is to die for! February 7, 2010 at 4:51 a.m.
February 11, 2010 at 12:25 p.m.